(Unfortunately, we don't accept same day, online reservations, though you can try to call us directly). 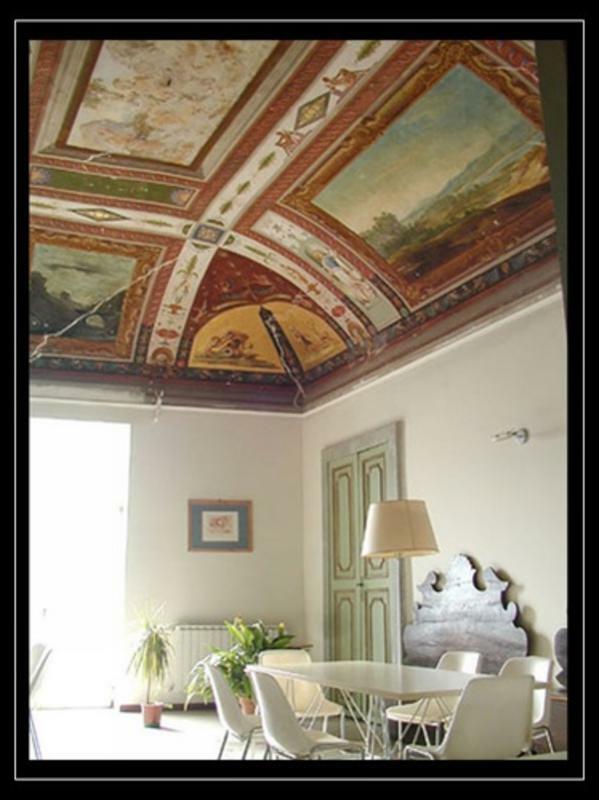 We are the only hostel in the historic center of Perugia, and occupy the historic palace of the family Borgia-Mandolini. Once here, there is no need to pay for a taxi or bus as everything is within close walking distance. In fact, we are 200m from the Cathedral, and the main square (piazza IV Novembre). The Hostel offers multiple rooms in separate dorms for males and females (4 or 6 beds), private, mixed rooms for small groups (min.4) and family rooms. We have changed our key system and now have individual keys for all guests including to the front door, and therefore there is no curfew. Cost of sheets is included. There is free WiFi at our large reception. We have a large kitchen which holds 40 people comfortably. There is also a large, historical library which holds 55 people, and has a projection screen for power point presentations. In the last 30 years, the Hostel has promoted the peaceful and joyful dialogue between every type of culture through many initiatives and activities. Buses to the center of Perugia arrive at Piazza Italia. Piazza Italia is at the opposite end of Corso Vanucci. Walk down Corso Vannucci and as it turns gently to the right, it becomes Via Bontempi. We are located at Via Bontempi 13. From the E45 you exit at Prepo and follow the direction for the centre up to entrance of the ZTL zone. Park and walk to Piazza IV Novembre (see the directions above). Parking in the Old Town is not free. A comfortable and economic solution might be to you the free parking of MINIMETRO (Portanuova ) and continue with minimetro up to the centre. Once in the old town you will not need the car.